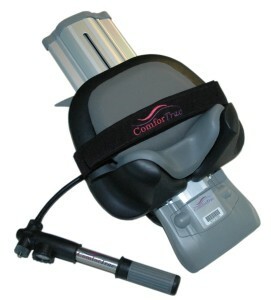 The ComforTrac cervical home traction unit has been carefully engineered to provide maximum comfort, efﬁcacy, and ease of use. Details that highlight this superior design include a push-of-a-button “quick release” pump, and a contouring memory foam headrest that cradles the head. Likewise, transporting the unit has been made effortless through the use of a lightweight durable carry-case. 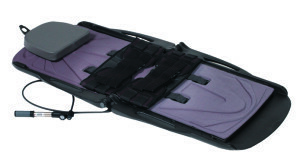 The ComforTrac lumbar home traction unit was carefully engineered to provide maximum comfort, efficacy, and ease of use. Details that highlight this superior design include an automatic carriage return and innovative hinged design that requires no set-up. Likewise, transporting the unit has been made effortless through the use of lightweight durable materials.